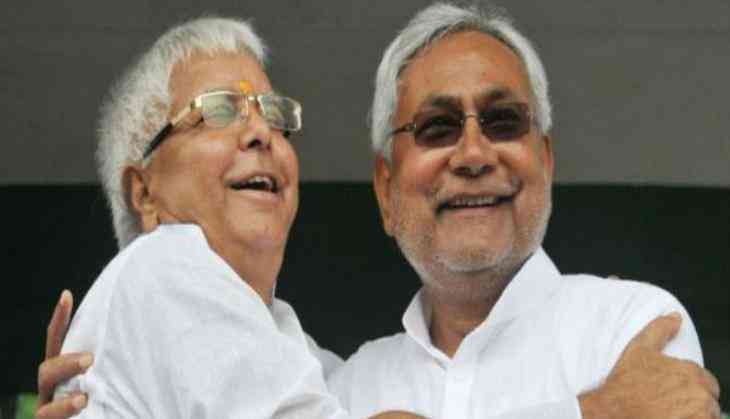 The Janata Dal United (JDU) on Wednesday affirmed that there alliance with the Rashtriya Janata Dal (RJD) will be there till 2025 and the difference of opinion on the presidential nominee between the two parties will not affect their relationship. "The grand alliance will be there in Bihar till 2025. There is no rift in the party. Our alliance in Bihar is strong, we have different views over presidential poll, but it has nothing to do with the alliance or the government," JD (U) leader K.C. Tyagi told ANI. Rift is being speculated in the grand alliance after RJD chief Lalu Prasad Yadav, while backing the Opposition's presidential nominee Meira Kumar, said that Chief Minister Nitish Kumar made a ' iconic mistake' by extending his support to the National Democratic Alliance (NDA) presidential candidate Ram Nath Kovind. Meanwhile Nitish, being firm on his stand to back Kovind, said 'Bihar ki beti' Meira has been nominated as the Presidential candidate by the opposition "only to lose". Meira, the former Lok Sabha speaker, earlier in the day filed the nomination in the Parliament House in the presence of Congress president Sonia Gandhi, former prime minister Manmohan Singh and other senior opposition leaders. Before filing her nomination papers, she reiterated that it is upsetting for her to see that the bug of casteism is still feeding upon India, which otherwise wants to advance in all aspects. "It is very upsetting, unfortunate that a country like India, which wants to advance in every aspect, is using a mentality which is so narrow and dividing, that too also when we are fighting for presidentship," she said. Ram Nath Kovind had filed his nomination on June 23. The election for the next President of India is slated to be held on July 17 as President Pranab Mukherjee will demit the office on July 24.